Isn’t it frustrating when you really want to live stream your favorite TV show or do tons of searching on the net for work or for school, but your Wi-Fi doesn’t let you because its speed is almost similar to a walking turtle? It’s very likely that you who is reading this article right now has experienced this quite a number of times already. 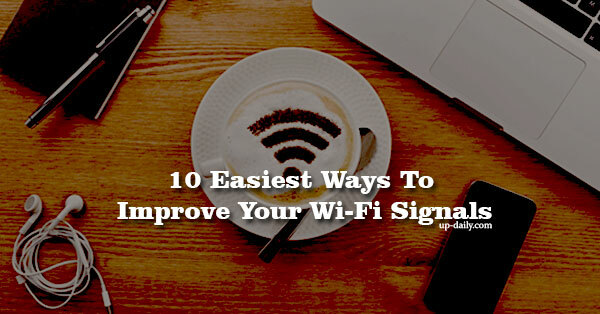 Well, the article today will actually be all about that, what are the things you can do to speed up your Wi-Fi. The obvious one that most people tend to forget to do is disconnecting their old devices. Check your old devices and see if it still is connected to the Wi-Fi and disconnect it. Yes, you may not use it but it does slow down the speed. If the router you’re using has been with you since 2005, it’s time to change it. With all the updated and highly technical devices, that old router of yours cannot handle all the advances. If a lot of people in your dorm or your house are connected to the Wi-Fi and using heavy bandwidth, live streaming altogether or playing video games, your Wi-Fi will more likely slow down. Try to limit all these heavy bandwidth activities being done at the same time. Yes, you may use your device regularly but if you aren’t using the Wi-Fi, it’s best to disconnect it. Example, you’re using your laptop and the speed is slow. Maybe it’s because your IPad and your phone are still connected to the Wi-Fi even if you aren’t using them. Remember to disconnect when not in use. You can never be too safe. Maybe the reason why your Wi-Fi is so slow is because your neighbor is getting free Wi-Fi from you. Sometimes the answer to your slow internet connection is just a simple solution. Reboot or reset your router. Try doing this regularly. When a big house with tons of devices is all connected to the internet, it is highly likely that some of those devices have slow speed. And the way to solve that is by buying a repeater; it increases the range and strength of the connection. We know it takes quite some time and you can get impatient while doing so. But having updates will truly do great things to its software that would be great for your internet speed. Having your router near appliances or even metal objects WILL interfere with the connection. Try placing it somewhere that isn’t in a close range with your other appliances. If you place your router somewhere inside a drawer, closet, or cabinet, your connection will really be slow. This is because the signals will also lessen its connection. So remember, the router must be in an open space. Try these tips out and see how your connection would speed up.